Badgy ID Card Printer System is the ideal all-in-one solution for printing badges which do not require encoding technologies. 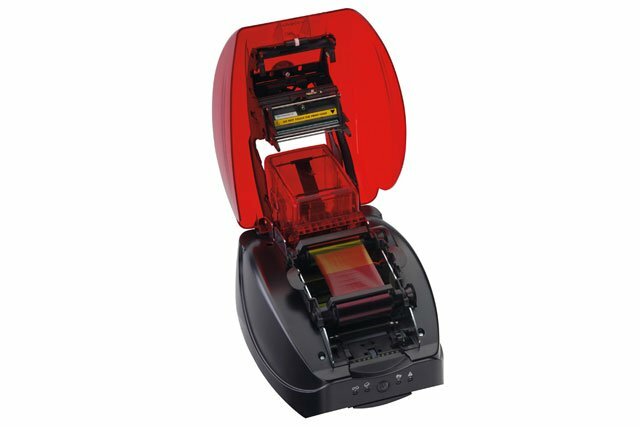 Evolis Badgy ID Card Printer System is an all in one printer system that offers ease of use, instant printing, and affordability. Badgy ID Card Printer System operates just like any other standard desktop printer. Simple to install and simple to use. Personalize your own badges in a few seconds, and you can print them immediately, singly or in a run. Low cost per printed card, even for small quantities. Badgy, Card Printer, 300 dpi, USB, Plastic Card Printer, Color, DYE SUBLIMATION/THERMAL TRANSFER, PRINTS Cards 3.37" x 2.13", Includes 1 Color Ribbon (YIELDS 100 PRINTS), 100 Card, 1 Badgy Printer and print software with pre-defined templates to modify data.